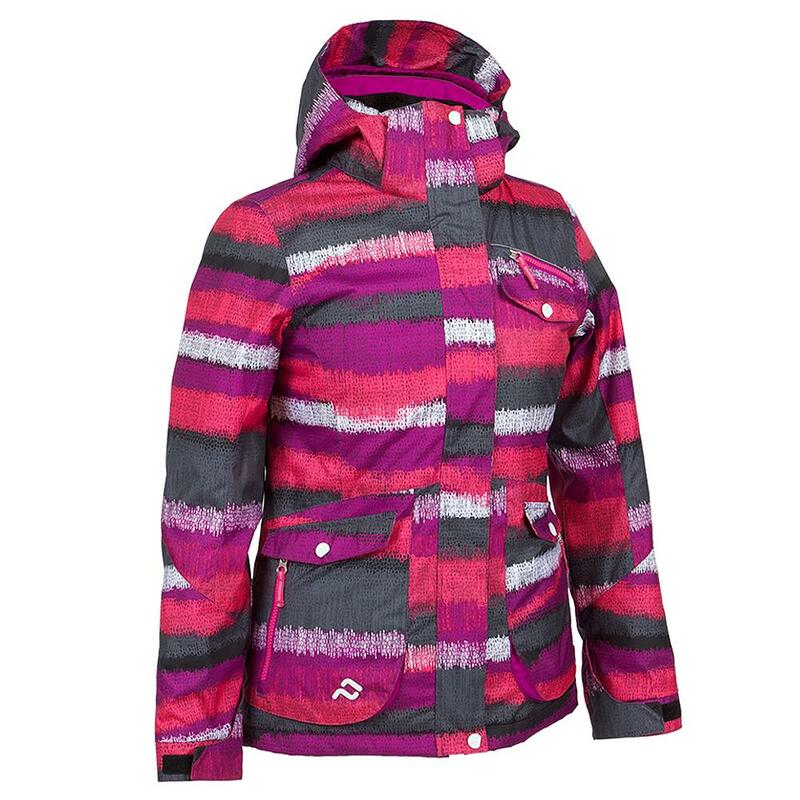 Send her up the lift in style in the Jupa Ella Girl's Insulated Ski Jacket. She'll love the bright and bold colors, and modern print of this well-built jacket. She'll also love how warm and cozy she is on the slopes, even if the weather is less than ideal. 140g of insulation coupled with a 10k waterproof rating and critical seam taping ensure that the cold and snow stay out and the warmth stays in. Little details like a removable hood and Lycra cuffs make all the difference when it comes to comfort, and tons of pockets make it easy for her to tote her phone, tissue, and trail map. "The description lists 170 and 140 g insulation. Which is correct?" "Hello! There is 140 grams of insulation in the body, 110 grams in the sleeves, and 70 grams of insulation in the body. This allows the jacket to feel less bulky!" "Hello! What color blue compliments the Rapsodie Print? Bora Bora? I'm trying to match up pants to the jackets. BTW, please continue to stock Jupa. Hands down THE BEST cold weather gear!" "One good matching pant for this particular jacket would be the Jupa Galina Insulated Ski pant in the dark grey denim print!" We live in MI and my daughter wore the same jacket last year just a different size. She skied 6 days a week and the jacket kept her warm and dry all winter long. Runs true to size. Jupa Ski Wear is Great! Stylish and Warm. Great Product that will last! Good quality, great fit, great product. My kids have had Jupa coats in the past and they have held up very well.